Having finally got on and finished the bag made from the sleeves and front pocket. I got inspired to use up the rest of the jacket, with a ‘lapel bag’. These are more complicated to plan. 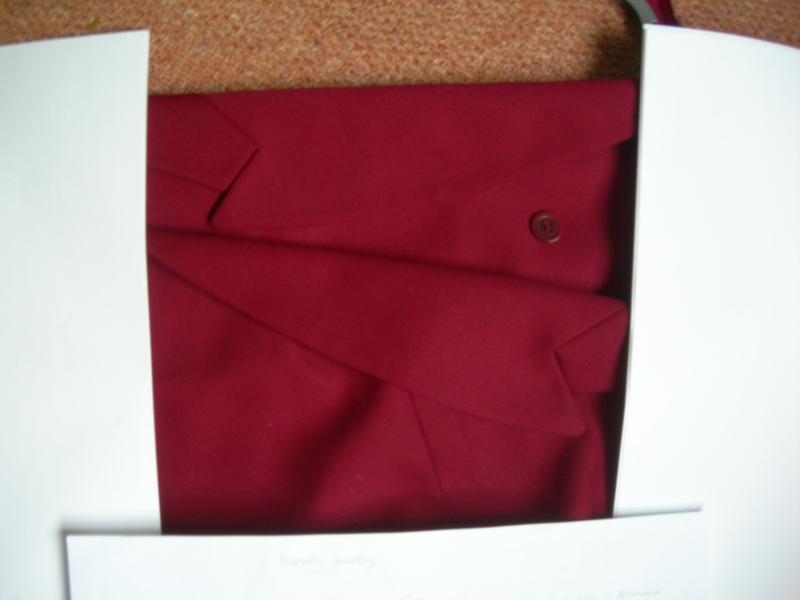 I laid out the lapels, placing some white paper around the edges to see how it would work …. I then cut out a basic bag shape, and sewed the 2 lapel pieces together (under the lower lapel) I had enough of the other from with a pocket to use for the back. I then made a handle from a back panel. I have used up all the left over fabric to make some pretty butterflies, I think these will be brooches? Any other suggestions? Bags and butterflies heading to my Esty Shop very soon.